Hair Salons near Columbia Md/ Winter Skin tips from Vivid Salon Columbia Md | Best Salon and Spa in Columbia MD! It’s that wonderful time of year. The weather is changing and your skin is probably grumbling. What can you do now to prepare for the colder months ahead? Let’s take a look. Take a look at what you’re using. Does your skin feel tight and dry after you’ve cleansed and moisturized? Then it’s time to swap out your warm weather cleanser for a more hydrating one. Cool air robs your skin of its natural oils. Without these oils your complexion will become dry and dull. Step up your moisturizer to one that’s more emollient. This will help reduce water loss on the surface of your skin. Add a hydrating serum to keep skin from feeling tight and dry, and to plump it up. And don’t forget to exfoliate! So many people think this step can be skipped in colder months. Not so! Exfoliation clears away old dead skin cells that create a dull complexion. It also enhances the effects of ALL your other products. Add facials! 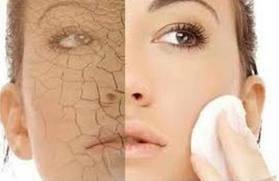 Facials work deeply to hydrate, regulate the immune system, prevent wrinkles, clarify and tone the skin. And lastly, this is no time to skimp on sunscreen! Protecting your skin from environmental assault is a yearlong commitment. If you need some assistance transitioning your skincare, just let us know. We’re here to help! Copyright © 2019 Best Salon and Spa in Columbia MD!